A thread for bulk news posts relating to Russia. Russia and USA are at each others throats. We are on the brink of the end of times. Prepare yourselves and your family because Bible Prophecy is unfolding right before our eyes. When will Babylon fall. Aleksandr Dugin is a Russian political scientist and has major influence on Russian Military and politicians. US, Israeli, British, Turkish, Saudis, Katar officers killed in a Russian strike on Aleppo. According to Sputnik-Arabic language, and FARS News these intelligence officers were directing terrorist groups in Aleppo. Thus far the Western media is silent on the incident embarrassed to admit these nations are all actively involved in the Syrian nation. How will Russia deal with Turkey now seeings the Coup was a staged event. Hey Friends .....!! !you are watching channel BBC World News . This channel will provide you the latest news which are the best and mind blowing. The NSA is watching you. Learn an easy way you can stop them before its too late. Syria’s war escalated abruptly on Friday as government forces and their Russian allies launched ferocious aerial assaults on opposition-held areas of Aleppo and threatened a ground invasion, while efforts at the United Nations to revive a cease-fire appeared to collapse. Repeated airstrikes that obliterated buildings and engulfed neighborhoods in flames killed about 100 people in Aleppo, the divided northern Syrian city that has epitomized the horrors of the war, turning the brief cease-fire of last week and hopes for humanitarian relief into faint memories. The bombings knocked out running water to an estimated 2 million people, the United Nations said. A video shot by a witness showed buildings burning after an airstrike on the Mwasalat neighborhood in the eastern part of the city. US Secretary of State John Kerry has threatened to cut all diplomatic ties with Russia, in a bleak deterioration in US-Russia relations this week. The US State Department confirmed that Kerry issued an ultimatum to his Russian counterpart, Sergey Lavrov, warning him that unless Russian and Syrian bombardment of Aleppo ends, relations between Moscow and Washington D.C. would revert to Cold War levels. Kerry’s spokesman, John Kirby, says Kerry expressed grave concern over Russian and Syrian government attacks on hospitals, water supplies and other civilian infrastructure in Aleppo. He says Kerry told Lavrov that the U.S. holds Russia responsible for the use of incendiary and bunker-buster bombs in an urban area. Kerry told Lavrov the U.S. was preparing to ‘suspend U.S.-Russia bilateral engagement on Syria,’ including on a proposed counterterrorism partnership, ‘unless Russia takes immediate steps to end the assault on Aleppo’ and restore a cease-fire. Russian or Syrian warplanes knocked a major Aleppo hospital out of service today, hospital workers said, and ground forces intensified an assault on the city’s besieged rebel sector, in a battle that has become a potentially decisive turning point in the civil war. Shelling damaged at least another hospital and a bakery, killing six residents queuing up for bread under a siege that has trapped 250,000 people with food running out. The World Health Organization said it had reports that both hospitals were now out of service. ‘Let us be clear. Those using ever more destructive weapons know exactly what they are doing. They know they are committing war crimes,’ Ban told the Security Council. The two biggest hospitals in rebel-controlled parts of Aleppo have been bombed in what non-government organizations residents say are deliberate attacks by the Syrian regime and its Russian allies to eliminate these structures. In May, the UN Security Council adopted a resolution on the protection of health workers and facilities during armed conflicts, but there has been no letup in these kinds of attacks in Syria and Yemen. ‘International law is clear: medical workers, facilities and transport must be protected. The wounded and sick – civilians and fighters alike – must be spared,’ Ban said. ‘There must be action. There must be accountability,’ he said. US Spox John Kirby threatens Russia with “more body bags, attacks on Russian cities"
In a veiled threat against the Russians, US State Department spokesman John Kirby warns Russia of ‘more body bags” and “attacks on Russian cities” if the Russians will not cooperate with them in Syria. Kirby’s words didn’t go unnoticed by the Russian Foreign Ministry spokesperson. … Deputy Foreign Minister Sergey Ryabkov said on Thursday that the US statements on the suspension of cooperation with Russia on Syria amount to blackmail. Unless Russia “stops the violence” in Syria, extremists would “exploit the vacuum” to attack Russian interests and even cities, the US State Department has said. “Extremist groups will continue to exploit the vacuums that are there in Syria to expand their operations, which could include attacks against Russian interests, perhaps even Russian cities. Russia will continue to send troops home in body bags, and will continue to lose resources, perhaps even aircraft,” John Kirby, the State Department’s spokesperson, told reporters at Wednesday’s press briefing. If the war continues “more Russian lives will be lost, more Russian aircraft will be shot down,” Kirby said. Early on Wednesday, US Secretary of State John Kerry threatened to end all cooperation between the United States and Russia to stop Syria’s civil war, unless Moscow and Damascus ended the current attack on East Aleppo. Russian Foreign Minister Sergey Lavrov presented a different version of the call with Secretary Kerry, with the demand that the US live up to its obligation to separate opposition forces from extremist groups. Foreign Minister Lavrov told Kerry that many US-backed groups are working side by side with the Al-Qaeda affiliate, and brought up media reports that Nusra was receiving weapons from the US. “There are other nations that have influence. We have admitted that not all opposition groups on every single day have abided by it, and we have continued to work with them on that,” Kirby said, asked about the rebels’ violations of the Syrian ceasefire. Russian FM Spokeswoman Maria Zakharova hit back at her US counterpart John Kirby, who warned that terrorist attacks may take place in Russia if the civil war continues in Syria. His remark sounds like a call to “get ’em,” she noted. “Don’t you think that such ventriloquism about ‘body bags,’ ‘terrorist attacks in Russian cities’ and ‘loss of aircraft,’ sounds more like a ‘get ’em’ command, rather than a diplomatic comment?” Zakharova concluded. On Wednesday, Russian Foreign Minister Sergey Lavrov and US Secretary of State John Kerry held a telephone conversation during which the latter threatened to halt all cooperation between Moscow and Washington, aimed at stopping Syria’s civil war, unless Moscow and Damascus ended the current attack on East Aleppo. Foreign Minister today was that we are perfectly willing and able to move forward on those steps that would end with the suspension of US-Russia bi-lateral engagement in Syria,” he added. “There are other nations that have influence. We have admitted that not all opposition groups on every single day have abided by it, and we have continued to work with them on that,” Kirby pointed out. Russian Emergency Situations Ministry will hold the All-Russian exercise of civil defense, in which more than 40 million people will be involved, reports RIA "Novosti" . This was told the director of the Emergency Situations Ministry of Civil Defence Department Sergey Manuilov. "Training will be held from 4 to 7 October. It will bring together more than 40 million people, more than 200 thousand professionals rescue units, about 50 thousand units. The full force of the Russian Emergencies Ministry are utilized, including military units EMERCOM rescue, emergency rescue units, rescue units of paramilitary units and the State Inspectorate for Small Boats, a division of the State Fire Service of EMERCOM of Russia, aircraft, "- said Manuilov. According to him, the action will be worked on evacuation, issuance of personal protective equipment, sanitary, deployment obmyvochnyh points. Subscribe to "Gazety.Ru" channel Telegram , to be the first to know about important news and important events of the day. The Emergencies Ministry of Russia is going to organize all-Russian civil defence drill since 4 October until 7 October 2016. More than 40 million people, more than 200.000 specialists of rescue and recovery units, as well as more than 50.000 units of equipment are going to be involved into the drill. Also, federal executive authorities, heads of regions, local governing bodies and organizations are going to participate in the drill. Personnel and equipment of the Emergencies Ministry are going to be fully engaged, as well as rescue and recovery units, paramilitary mine rescue divisions, units of the State Small Vessel Inspectorate, as well as State Fire Service of the Emergencies Ministry and aircraft. Non-staff rescue and recovery units will also participate in the civil defence drill. The drill is purposed to check relevance of current plans for different periods and preparedness of all personnel and equipment for action. Information and gathering of the senior personnel of ministries and agencies, executive authorities of the regions of the Russian Federation and local governments will be carried out. Evacuation, issuing of personal protection equipment, deployment of sanitation station will be trained. Additionally, all protective equipment will be brought to readiness. Systems for emergency information of the population are going to be checked upon agreement with regional and municipal authorities. Quality of medical services will be checked in medical institutions under jurisdiction of the Emergencies Ministry. Rescuers in cooperation with other service will train action to mitigate different emergency situations, as natural, as man-caused in order to improve efficiency of approaches used to protect the population and territories. Fulfillment of these tasks allows increasing level of preparedness of the population, senior management and civil defence forces for action during large scale emergency situations occurring in peace time. To crown it all, according to services responsible for the organization of civil defense and emergency response, a special program was launched in Moscow in 2015 , within the scope of which bomb shelters and fallout shelters were built or renewed in every district of the Russian capital. crisis is worse than anything during the Cold War. in body bags, and…to lose resources, perhaps even aircraft." Threatening ‘Body Bags’: Is All-Out War Between Russia and the US on its Way? on a Syrian air base. is a US-controlled "terrorist Internationale." to assist the Syrian military. a "deadly embrace" over the Middle Eastern country. "In its intensity, it surpasses even the Cold War,"
of areas where our competition with the Americans was limited,"
and there are many areas where our interests [theoretically] intersect. and the US pay lip service to fighting a war on international terrorism. to the problem, and this is strikingly illustrated by the situation in Syria." be willing to stoop to." aircraft may be shot down. after the US revised its strategy." Syrian forces at Deir ez-Zor, after which Daesh militants began an offensive. there will not be any significant concessions on our part." to drastically turn the tables." "One has to understand that the US president is just the tip of the iceberg. not leave the desired 'policy line'." 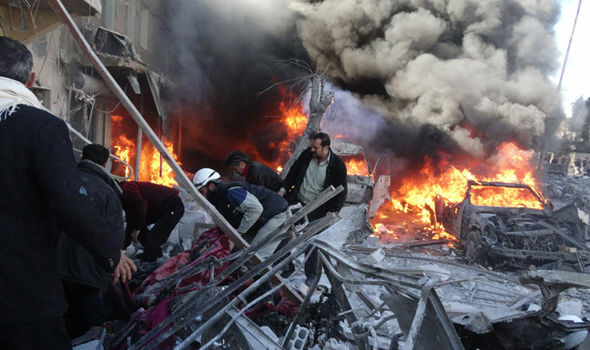 Qatar, Saudi Arabia and Iran, are already engaged in a proxy war in Syria. hand, and to demonstrate the greater will to win, US officials' "hysteria"
that it will not reach the level of direct military clashes." Karyakin believes that Russia's only option is to dig in its heels. "may be unlikely to expand, but neither will it become any less fierce." Russian Weather Report Discusses Nuclear Strike Against U.S.
A segment of a Russian weather report which discussed the impact of a potential nuclear strike on the United States has been cut from the channel's official website. The clip, which was originally broadcast on the state channel Rossiya 24 this July, can still be viewed on social media. The footage formed part of a larger report, which tied an analysis of Russia's early warning radar systems into a look ahead at the Russian weather. The country's RTI radar station in Siberia's Krasnoyarsk region had announced earlier that day that it had successfully identified a ballistic missile's precise trajectory on a practice range. As part of the unedited report, the host discussed the potential impact of a nuclear explosion in the U.S. state of Nebraska, explaining that it would knock out electronic devices as far away as southern Canada. The segment now no longer appears as part of the report on the channel's website. The channel's creative approach to the weather has previously fueled a number of controversies. In one clip aired in October 2015, the channel included a special segment dedicated to flying conditions in Syria, and whether it would affect Russian pilots carrying out airstrikes. Correction: this article originally stated that the weather report on a nuclear strike against Nebraska aired on Russian television this week. The report in fact aired earlier this year, in July. In Europe, when it gets serious, you have to lie... at least if you are an unelected bureaucrat like Jean-Claude Juncker. In Russia, however, when it gets serious, attention immediately turns to the children. Which is why we read a report in Russian website Znak published Tuesday, according to which Russian state officials and government workers were told to bring back their children studying abroad immediately, even if means cutting their education short and not waiting until the end of the school year, and re-enroll them in Russian schools, with some concern. The article adds that if the parents of these same officials also live abroad "for some reason", and have not lost their Russian citizenship, should also be returned to the motherland. Znak cited five administration officials as the source of the report. The "recommendation" applies to all: from the administration staff, to regional administrators, to lawmakers of all levels. Employees of public corporations are also subject to the ordinance. One of the sources said that anyone who fails to act, will find such non-compliance to be a "complicating factor in the furtherance of their public sector career." He added that he was aware of several such cases in recent months. It appears that the underlying reason behind the command is that the Russian government is concerned about the optics of having children of the Russian political elite being educated abroad, while their parents appear on television talking about patriotism and being "surrounded by enemies." While we doubt the impacted children will be happy by this development, some of the more patriotic locals, if unimpacted, are delighted. Such as Vitaly Ivanov, a political scientist who believes that the measure to return children of officials from studying abroad, is "long overdue." According Ivanoc, the education of children of the Russian elite abroad is subject to constant ridicule and derision against the ruling regime. "People note the hypocrisy of having a centralized state and cultivating patriotism and anti-Western sentiment, while children of government workers study abroad. You can not serve two gods, one must choose." On the other hand, political analyst Stanislav Belkovsky quoted by Znak, believes that such decisions should be approached with more pragmatism. Such a recommendation is more likely to lead to an outflow of officials from the state, rather than allow the return of the children studying at elite foreign universities. He also warned of attempts to recreate an echo chamber such as that experienced after the failed July coup attempt on Turkey's President Erdogan. But what he said next was more disturbing: "On the one hand, this is all part of a package of measures to prepare the elites for some 'big war' even if it is rather conditional, on the other hand - this is another blow to the unity of President Putin with his own elite" Belkovsky said. He adds that the Western sanctions launcedh in March 2014, had sought to drive a wedge between Putin and elites. In response, the Kremlin began to act precisely according to the logic of these sanctions. "But while a ban for having assets in the West is one thing, and understanable, when it comes to a ban for offshore health and education services, the blowback will be far greater, as it represents a far more important element of the establishment's life strategy." Ultimately the motivation behind Putin's decision is unclear: whether it is to show Russia's high-ranking oligarchs who is boss, to boost a sense of patriotism among the nation by sending a symbolic message that the west is no longer a welcome destination for Russia's rich kids, or just a preemptive move of repatriating of any individuals affiliated with Russian politics for other unknown reasons; however it underscores the severity of the ongoing diplomatic crisis and just how significant the upcoming isolation between Russia and the West is likely to become in the coming months - unless of course tensions deescalate dramatically in the very near future - resulting in even greater collapse in global commerce and a further slowdown to world economic growth, which may ultimately lead to an armed conflict, whether regional or global, as the only possible outcome. Threatening to open Cold War wounds and further aggravate ties with the U.S. that are already strained by the conflict in Syria, a senior Russian defense official said the military is considering a possible return to its Soviet-era bases in Cuba and Vietnam. In the clearest confirmation to date that Russia may scrap its decision to withdraw from the two countries more than a decade ago, Deputy Defense Minister Nikolai Pankov told lawmakers in Moscow on Friday that the military is revisiting the issue, without providing more details, according to the state-run Tass news service. Responding to a question about the plans, President Vladimir Putin’s spokesman, Dmitry Peskov, said the global security situation has become “rather fluid” after “substantial changes” over the past two years. “It’s natural that all countries are assessing these changes in accordance with their national interests and taking certain measures they consider necessary,” Peskov said, referring more detailed questions to the Defense Ministry. A move to reclaim the bases, abandoned shortly after Putin came to power in 2000, would further expose fault lines of the Cold War standoff with the U.S. as the two former rivals now duel over the 5 1/2 year war in Syria. While Russia withdrew from Cuba and Vietnam, it kept its small base in the Syrian port of Tartus, the only naval facility it’s maintained outside the former Soviet Union. Since Putin entered the conflict in the Middle Eastern country on behalf of President Bashar al-Assad a year ago, Russia has now added a second base in Syria’s Khmeimim, used for conducting air raids against groups opposed to government forces there. The lower house of parliament on Friday ratified a treaty that allows Russia to keep the air base in Syria indefinitely. The U.S. has blamed Putin’s government for indiscriminate bombing that has killed civilians and targeted hospitals in Syria, cutting bilateral discussions with Russia over the conflict after a Sept. 9 cease-fire deal collapsed within days. Russia hasn’t budged from its support for Assad, continuing to back the Syrian regime’s bombardments in Aleppo, where the United Nations estimates 275,000 people are trapped.U.S. Secretary of State John Kerry on Friday called for an investigation into possible war crimes in Syria after a hospital bombardment killed 20 people, saying that Russia and Assad’s regime “owe the world more than an explanation” for the attack. The clashing views are reviving tensions started by the separatist war in Ukraine, with the U.S. and the European Union accusing Russia of backing the insurgency. Russia’s expanding military presence, from Vietnam to Latin America, has already drawn notice from the U.S. The State Department last year confirmed then that the U.S. was pressing Vietnam to bar Russian military aircraft from refueling at the former American base at Cam Ranh Bay, while a U.S. commander raised concerns about Russia’s military activities in the Western Hemisphere. The facility in Cam Ranh Bay, a U.S. base during the Vietnam War, was a Soviet naval base until 2002. In 2012, a senior military official in Moscow said that Russia was in talks to set up resupply bases in Cuba after undertaking its biggest military overhaul since the Soviet era. Putin visited the Caribbean island in 2014, with Russia writing off $32 billion of Cuba’s Soviet-era debt. Under the deal that ended the 1962 Cuban crisis, the Soviet Union withdrew its missiles on the island and pledged not to station offensive weapons. Russian military cooperation with Cuba ended in 2002 after Russia closed its radar base at Lourdes, Russia’s only intelligence-gathering center in the Western Hemisphere, which had been operating since the 1960s. 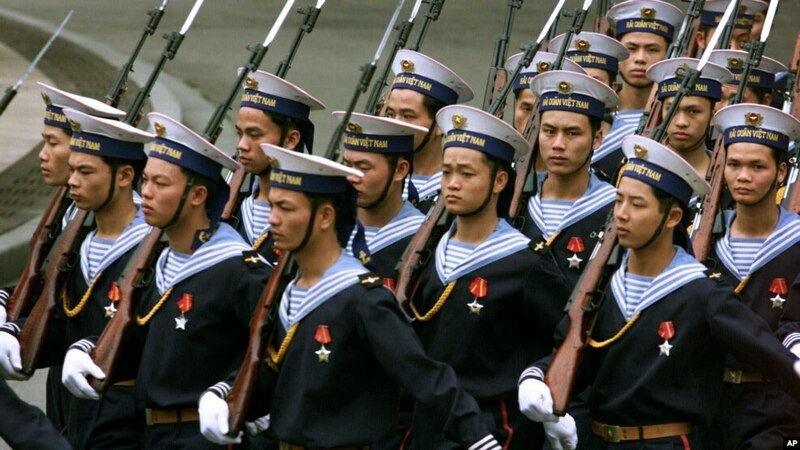 FILE - Vietnamese sailors march in Hanoi, March 1, 2001, ahead of a visit by Russian President Vladimir Putin to discuss, among other topics, Moscow's leasing of Cam Ranh Bay naval base in southern Vietnam. With relations between Washington and Moscow deteriorating, Russian news agencies are quoting a top defense official as saying the possibility of reopening Russian military facilities in Cuba and Vietnam is under consideration. Asked Friday by lawmakers in the State Duma, the lower house of Russia's parliament, if the Russian military might return to countries like Cuba and Vietnam, Deputy Defense Minister Nikolai Pankov replied: "We are doing this work." He provided no details. The Soviet Union established a Signals Intelligence (SIGINT) base in Lourdes, Cuba, in the early 1960s and a naval base in Cam Ranh Bay, Vietnam, in the late 1970s. While Russia continued to operate those facilities following the breakup of the Soviet Union in 1991, they were shut down in 2001 and 2002, respectively. Russia is currently operating an air base and a naval base in Syria. According to Russian news agencies, Kremlin spokesman Dmitry Peskov was also asked Friday about the possibility of reestablishing bases in Cuba and Vietnam. He refused to comment on it directly, saying the question should be addressed to the defense ministry. However, Peskov was quoted as saying: "The international situation is not static; it is rather fluid. You can see that the last two years have introduced in general significant adjustments to international affairs and the international security regime. So, naturally, all countries in accordance with their national interests are assessing these changes and taking certain measures in the direction that they see fit." In July 2014, President Vladimir Putin denied media reports that Russia was planning to reopen the Lourdes Signals Intelligence base in Cuba. The comments about reestablishing Russian military facilities far from home came as tensions between Russia and the United States grew. On Monday, Washington suspended talks with Moscow on a cease-fire in Syria, citing continued military attacks against civilian targets there. That same day, President Vladimir Putin suspended an agreement with the U.S. on disposing weapons-grade plutonium, citing "unfriendly actions" by Washington — a reference to sanctions on Moscow for its actions in Ukraine. On Wednesday, Russia suspended an agreement with the United States on cooperation on nuclear and energy-related research. Russia is moving its nuclear-capable missiles closer to the heart of the West to be able to hit Western cities within the range of over 720 kilometers. If the nuclear-capable Iskander missiles are launched from Kaliningrad, Russia’s enclave bordering Poland and Lithuania, Moscow could easily destroy Berlin (~510 km), Hamburg (~670 km) and other major cities of Germany. It also means that Russia will now be capable of destroying Denmark’s Copenhagen (~490 km), Sweden’s Stockholm (~515 km) and burning the entire territory of Poland to the ground. And while the United States is far away from Kaliningrad (unless Russia launches missiles from its Cuban bases, read below), it sure seems like Americans, who are about to elect their new President, are worried about Russian President Vladimir Putin’s nuclear plans. What’s on Putin’s mind – war or peace? The Iskander missiles have long been up Putin’s sleeve and Russian officials have threatened the West with the nuclear-capable missiles over the past two years. But Moscow is finally making the move, now that their defense ministry confirmed sending the Iskander missiles closer to the border with the West. The news comes just several days after Germany’s foreign minister, whose country faces the greatest risk from the missiles, warned that tensions between Russia and the West are “more dangerous” today compared to the Cold War era. Steinmeier, who has been interacting with Russia’s top-ranking officials since he was elected Germany’s foreign minister in 2013 and has seen it all (Russia’s annexation of Crimea, invading troops into Ukraine and killing civilians there, launching airstrikes in Syria and killing civilians there), sure knows what’s on Putin’s mind right now. Steinmeier added that he has been keeping an eye on the crumbling relations between the West and Russia with dismay. Are we actually on the brink of World War 3? Relations between the West and Russia have reached its lowest since a truce they agreed on last month collapsed within a week, and now the U.S. is accusing Russia of staging “war crimes” in the Syrian city of Aleppo, where over 250,000 civilians are facing deadly bombing on everyday basis. In September, Russian-backed Syrian government launched an offensive to retake Aleppo, and it sure seems like Russia is going all-in: to retake the city with the people there alive or dead. NATO defense ministers will discuss Russia’s wrongdoings in Syria as well as Moscow’s recent decision to deploy Iskander nuclear-capable missiles to the Polish border during a meeting on October 26-27 in Brussels. Although NATO meetings are usually useless and don’t stop Putin even a bit, at least the Alliance is acknowledging the fact that Russia is getting closer to Western borders with its every move. Last week, Russia’s Moskovsky Komsomolets newspaper predicted that the tensions between Russia and the West in Syria could lead either to World War 3 or something similar to the Cuban Missile Crisis, according to the International Business Times. The newspaper suggested that if the Americans do what they wanted to do “for a long time” and strike against Syria’s government army “on purpose and openly,” Russia would unleash a World War 3. “Russia can win big in Syria but it can also lose big too. 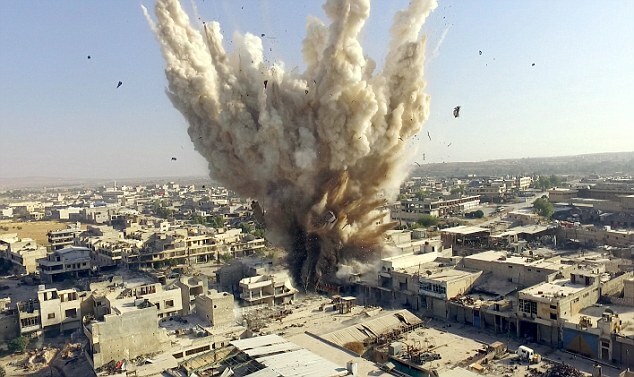 We must not forget that in Syria we are playing an astonishingly risky game,” the newspaper noted. Putin, who wholeheartedly believes in his mission to oppose the U.S. missile defense shield in Europe, would surely not hold back his actions anymore and would engage in a direct confrontation against American soldiers in Syria. Just last week, Russia warned the U.S. about its potential all-out nuclear attack after the U.S. cut talks with Putin over his deadly bombings in Syria. To prove Russia’s might, Putin’s officials said they now have nuclear bunkers capable of holding 12 million people. If the reports are true, it means Russia is dead-serious about preparing for an imminent nuclear strike against the United States. 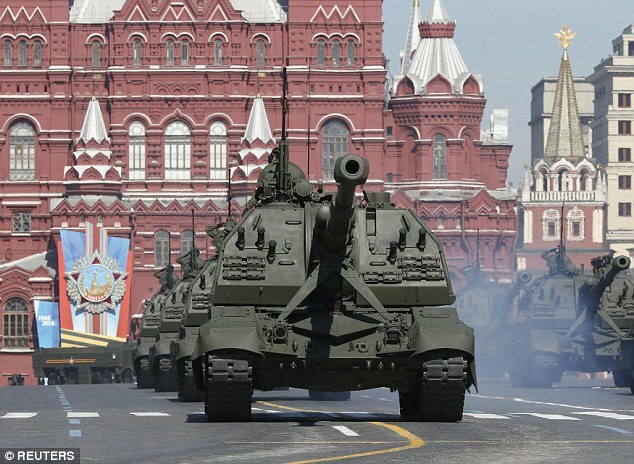 Reports also indicate that Putin’s ministers warned its citizens to “prepare for war” as they held massive military defense drills involving over 40 million people. But that’s not Putin’s only actions that indicate he’s preparing for an all-out nuclear mission against the world, as Russia has recently moved its naval power into Vietnam and intensified its bomber patrols around the U.S. border. Earlier this month, Russia announced its intentions to reopen Cuban bases from the Cold War era. The problem with those bases is that they sit just 90 miles (~145 km) from the U.S. border. And since Russia has Iskander nuclear-capable missiles (which are – for now – stationed in Kaliningrad) it’ll be capable to launch nuclear strikes on U.S. if it sends those Iskanders to its newly reopened Cuban bases. If the U.S. allows Russia to operate on its Cold War-era military bases in Cuba, it could face a deadly risk from Putin, who has proved that he is able to sneak in his military hardware without the world even noticing it. If that happens and Putin indeed moves his Iskander nuclear-powered missiles just 145 km from the U.S. border, he may as well start calling himself the king of the world and turn the United States with its newly-elected president, whether it’s Donald Trump or Hillary Clinton, into his toy. And while that scenario suggests that Putin couldn’t care less who would be the next president of the U.S., the Russian President still takes precautions. Russia has recently been blamed by the U.S. for hacking the Democratic National Committee and about twenty American voter registration databases in an attempt to influence the presidential vote in the U.S. on November 8. But with his nuclear-powered Iskanders pointed at Washington D.C. and the White House, it sure seems it would make no difference for Mr. Putin to make either Trump or Clinton take his orders. In May, Russian President Vladimir Putin said that placing parts of the system in Romania and Poland -- once Soviet satellites -- is threatening peace in Europe and warned that it may trigger a new arms race. China described the U.S. Terminal High Altitude Area Defense system as an "out-and-out strategic" move that threatens its national security, warning about taking “necessary measures to safeguard” its interests. The plan has already soured Chinese ties with South Korea. According to Poznikhir, the U.S. defense system includes weapons that, if fired from a warship in the Baltic Sea, can intercept ballistic missiles launched from the European part of Russia before a nuclear warhead is separated. U.S. missile defense launchpads can also be used for Tomahawk cruise missiles and there is no guarantee that such systems wouldn’t replace Thaad complexes in South Korea, he said. This is similar to the student thing, now it's ANY relatives. Russia is ordering all of its officials to fly home any relatives living abroad amid heightened tensions over the prospect of global war, it has been claimed. 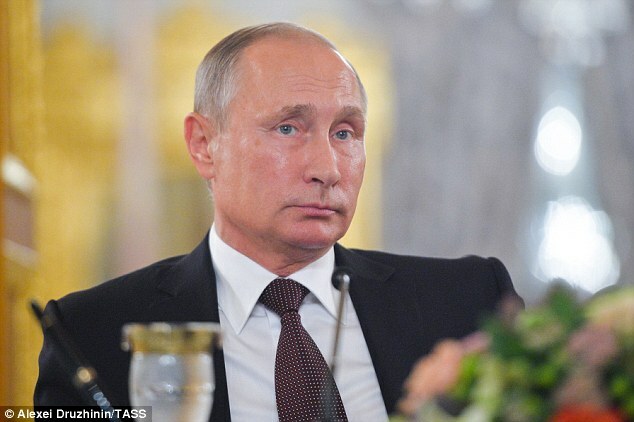 Politicians and high-ranking figures are said to have received a warning from president Vladimir Putin to bring their loved-ones home to the 'Motherland', according to local media. It comes after Putin cancelled a planned visit to France amid a furious row over Moscow's role in the Syrian conflict. Former Soviet leader Mikhail Gorbachev has also warned that the world is at a 'dangerous point' due to rising tensions between Russia and the US. According to the Daily Star, administration staff, regional administrators, lawmakers of all levels and employees of public corporations have been ordered to take their children out of foreign schools immediately. Failure to act will see officials jeopardising their chances of promotion, local media has reported. The exact reason for the order is not yet clear. The Kremlin has also suspended a series of nuclear pacts, including a symbolic cooperation deal to cut stocks of weapons-grade plutonium. Putin's decision to cancel his Paris visit came a day after French President Francois Hollande said Syrian forces had committed a 'war crime' in the battered city of Aleppo with the support of Russian air strikes. Putin had been due in Paris on October 19 to inaugurate a spiritual centre at a new Russian Orthodox church near the Eiffel Tower, but Hollande had insisted his Russian counterpart also took part in talks with him about Syria. The unprecedented cancellation of a visit so close to being finalised is a 'serious step... reminiscent of the Cold War', said Russian foreign policy analyst Fyodor Lukyanov. 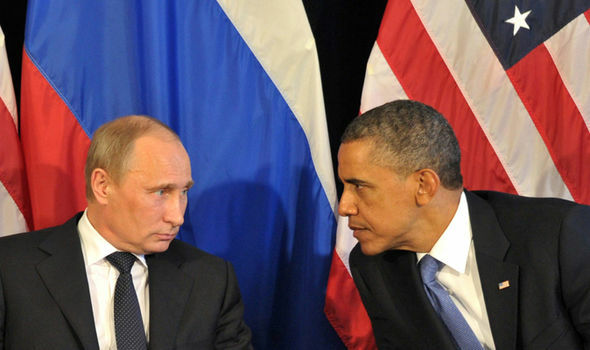 'This is part of the broader escalation in the tensions between Russia and the West, and Russia and NATO,' he told AFP. The Kremlin has also been angered over the banning of the Russian Paralympic team from the Rio Olympics amid claims of state-sponsored doping of its athletes. Retired Russian Lt. Gen. Evgeny Buzhinsky told the BBC: 'Of course there is a reaction. As far as Russia sees it, as Putin sees it, it is full-scale confrontation on all fronts. If you want a confrontation, you'll get one. Earlier this week British Foreign Secretary Boris Johnson waded into the row, calling for anti-war campaigners to protest outside the Russian embassy in London. Johnson said the 'wells of outrage are growing exhausted' and anti-war groups were not expressing sufficient outrage at the conflict in Aleppo. 'Where is the Stop the War Coalition at the moment? Where are they?' he said during a parliamentary debate. This is a bit concerning. If it's saber rattling, that's a lot of hassle and effort to go to for it. Same with the recent drills. Then again, the Russians do like to do everything big. 2 from submarines, and one from land. An ARFCOMmer had noted the Cobra Ball was airborne out of England earlier (among some other activity) and then news of the launches dropped. The Russian military has test-fired three ballistic missiles in one day, drills that come amid a U.S.-Russian rift over Syria. The Defense Ministry said a nuclear submarine of the Russian Pacific Fleet launched an intercontinental ballistic missile from the Sea of Okhotsk off Russia's far east at a military firing range in the northwest on Wednesday. A Northern Fleet nuclear submarine later fired a missile in the opposite direction from the Barents Sea, in the far north west. Separately, a ground-based Topol intercontinental ballistic missile was fired from the Plesetsk launch pad in northern Russia at the Kamchatka range in eastern Russia. The launches come as U.S.-Russian relations have hit their lowest point in years after the collapse of a truce in Syria, where Russian warplanes are backing the Syrian army. A recent military exercise in southern Russia saw the first real-time test of the state management system that allows the Defense Ministry to assume direct control over municipal and regional authorities, police, state security and emergency services. “In the course of the strategic war games Caucasus-2016, the Defense Ministry has for the first time tried how a military district command can directly manage the regions of the Russian Federation,” popular daily Izvestia quoted an unnamed high-placed military source as saying. “Exercising the interaction with state power bodies was one of the main objectives of the war games. In general it went well, but we also encountered some problems and presently we are preparing some legislative proposals that would correct the revealed drawbacks,” the source added. In particular, the military wants to switch completely from the previous scheme, under which in times of war all regional authorities and federal ministries worked on their own dedicated tasks and the Defense Ministry only had a coordinating role. The new rules of wartime administration would give all administrative powers to the military, which would issue direct commands to regional authorities, law enforcers, rescuers and the National Guard. Russia currently has five military districts that comprise the Defense Ministry’s territory division units. In times of war, the command of each of these districts will be divided into two parts – the Operative Strategic Command and the Wartime Military District. The former will be in charge of military operations and the latter will control the draft, logistics and execution of all special regime measures, such as maintaining public order and the increased security of strategic installations and communications. The new system was tested in southern Russia’s Stavropol Region, Ingushetia and Crimea. Military sources also told reporters that all the proposed changes are in line with the 2016-2020 Plan of Defense signed by President Vladimir Putin in November 2015. Earlier this month, Russia conducted major civil defense training involving 40 million people nationwide. A total of 200,000 rescue professionals and 50,000 vehicles took part in the exercise, which lasted four days. According to the Emergencies Ministry, the drill was meant to test coordination between federal, regional and local authorities, the feasibility of contingency plans for emergencies, the state of civil defense infrastructure such as shelters and emergency supply stockpiles, and other aspects of the system. However, this year’s exercise was not exceptional in terms of scale – the drill in 2013 involved over 60 million people. Be Warned: Russia Is Reading US Bluster As a Sign of War. alarming news about the potential of a U.S.-Russian military clash. the escalation of warnings from Russia over Syria. that I believe should be taken seriously. “will not have time to identify the origin” of the aircraft. 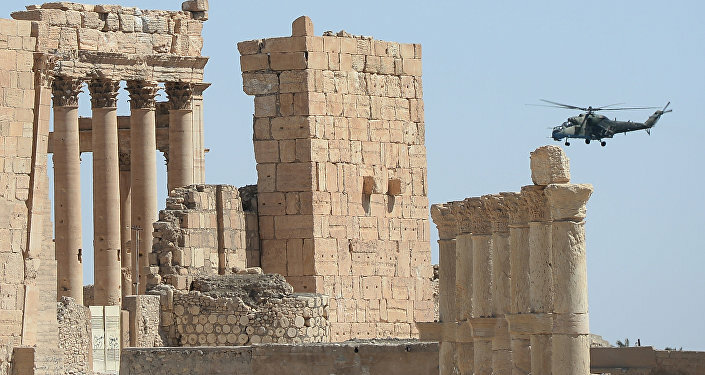 escalation in the hope that any armed confrontation can be limited to Syria. they believe they are likely to face a more hawkish president on Jan. 20.
understanding and even sympathy for Russia’s behavior in Syria. Middle East and/or Europe, the troubles may not end there. in the South China Sea. or, seemingly, in Washington’s halls of power. There is a sense of sleepwalking toward an abyss. 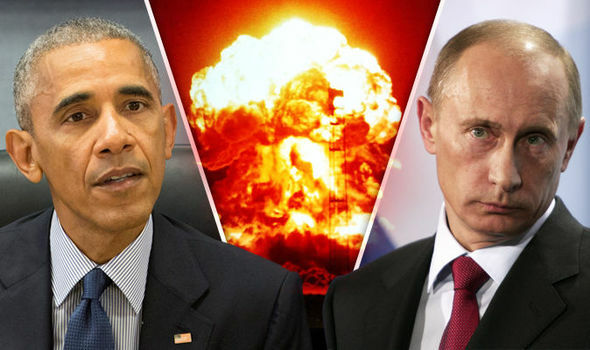 NUCLEAR war could be imminent as Russia told its citizens to urgently prepare for a devastating radioactive conflict as relations with the West stoop to their lowest since the Cold War. One apocalyptic broadcast told viewers on Moscow's state-owned TV channel NTV: "If it should one day happen, every one of you should know where the nearest bomb shelter is. It’s best to find out now." The enraged host, Evgeny Kiselyov, blasted America's "impudent behaviour" and spent two hours warning that a conflict could take "nuclear dimensions". 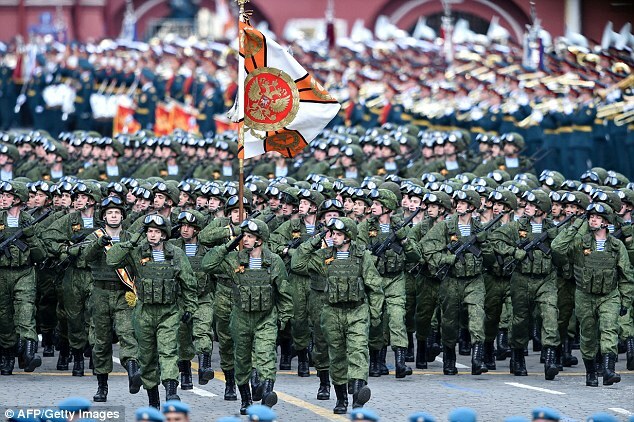 Aggressive posturing from Russia in recent weeks has seen the state force 40 million of its citizens to take part in a massive defence drill to prepare them for a nuclear holocaust. Wow. I'm guessing this is hype... but... maybe not. This is getting kind of scary. Russia has developed and successfully tested a radio-electronic combat system is without equal anywhere in the world. "The real prototypes of such weapons have already been made and confirmed its effect," said a representative of the company OPK charge of production of these weapons, reports USA Today Rasa. The weapon was presented during the exhibition of high military equipment and weapons to Armenia. It is a weapon that can be classified as so-called. weapons that are based on new physical principles, and examples of such technologies as laser and hypersonic weapon. A company representative says that the latest HVAC Russian system is unparalleled in the world. "This is a completely new kind of weapon. Similar weapons does not in our country is not in the world, "he said. This feat of engineering is able to disable the different types of targets without ubičajnog use of ammunition and grenades. Instead, the weapons used "directed energy". "It works with no real physical contact on the equipment in military vehicles, aircraft or unmanned aerial vehicles and neutralize precision guided weapons," said a representative of the manufacturer. This weapon was first presented to Russian military officials in September, at the presentation of non-public. In February it was still the chief commander of NATO in Europe, and now a retired US General Philip Bridlou warned of the growing power of Russia in electronic warfare. While working on numerous projects of development of non-conventional weapons, including radio-electronic as well as infrared and laser, Bridlou believes that the US has some catching up to Russia. 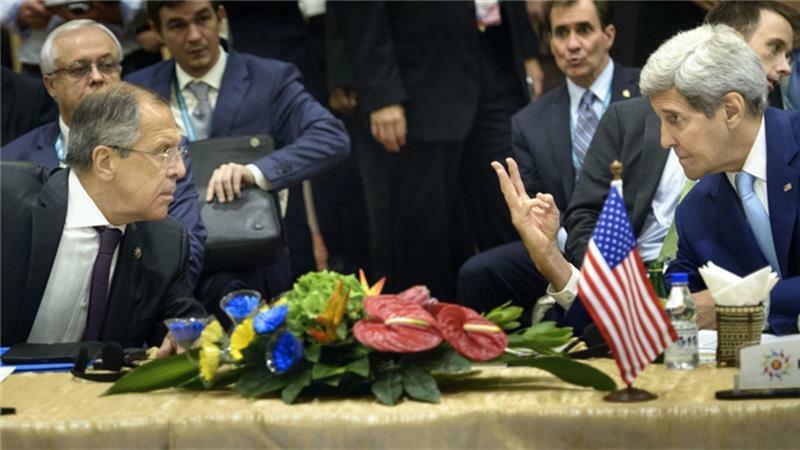 "We need to develop these kinds of weapons, but we do not have sufficient capacity," he said. World War 3: Putin Launching Missiles, Russia Preparing For Battle? It appears that World War 3 may be happening soon as Russia launches the Topol missile from a submarine in the Barents Sea. This missile is considered as the fastest in the world. "This is a conflict, there should be no doubt," said Matthew Rojansky, director of the Kennan Institute at the Wilson Center, according to CNN. According to reports, RS-12M Topol is a deadly, single-warhead intercontinental ballistic missile which covers a range of 10,000 kilometres or 6,125 miles. This can also bear nuclear warhead, with a yield of 550 kilotons. Three ballistic missiles were recently launched by Russia. Aside from the Topol missile, another missile was launched from a north-west island. 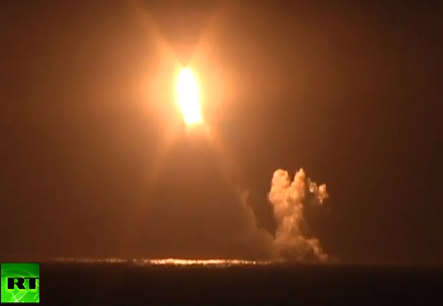 A nuke rocket from a Pacific Fleet submarine was also launched in the Sea of Okhotsk over Japan. Just recently, two rockets were launched aiming at the coast of Antalya, Turkey where many UK nationals are holidaying. Although there are no casualties with the launch, many are speculating that it could be Russia who did the rocket attack. Meanwhile, Russian Defence Minister Sergei Shogi said that World War 3 is not happening. He stipulated that the launch are "normal combat training manoeuvres" and will not be a threat to world peace. "The ideas of a military war, a new cold war or an arms race are being circulated. Of course, it is not true," he said. In another news, Russian President Vladimir Putin is calling out Russian relatives of officials who are living or schooling abroad to go back home. This move could be because of the possibility of sparking World War 3 anytime due to the conflict of US and Russia over the civil war in Syria. It is known that Russia sent airstrikes to Syria to kill the rebels. But the concern of US is the innocent lives being taken because of the attacks. Since Russia has expressed their intention to pulverize and flatten Aleppo, there is a possibility that US and UK will intervene by reviewing the military options of the Russian campaign.